Did you know that your home’s indoor air may be more polluted than Los Angeles on a smoggy day? Cigarette smoke, dust, soot, bacteria, molds, carbon monoxide, formaldehyde, radon, pesticides, and vapors from scores of household cleansers and building materials are just some of the contaminants that may be tainting your home’s air. “Sufficient evidence exists to conclude that indoor air pollution represents a major portion of the public’s exposure to air pollution,” states a report issued by the Environmental Protection Agency. Indoors, air pollutants get trapped and build up, particularly in today’s air-tight, super-insulated houses. When pollutants accumulate, some concentrations can exceed 100 times outdoor levels. High indoor humidity can be a serious problem, too. Humid air encourages mold, mildew, and bacterial growth, which are health hazards. In winter, condensation collects on windows and can damage paint, insulation, roofs, and exterior walls. And in summer, high humidity feels uncomfortable and strains air conditioning. Then again, a little humidity is important to a home’s comfort, particularly in the winter. Many appliances and vents combine to properly ventilate a home. 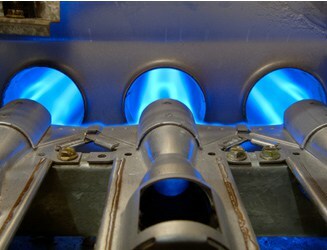 Proper ventilation inside a house is important for any number of reasons. The most obvious is comfort. 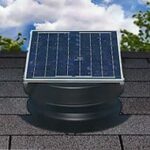 On a hot summer’s day, ventilation can offer cooling breezes without the expense of air conditioning. But even more important than comfort, ventilation plays a key role in the health of a house and its inhabitants. Ventilation fans exhaust built-up indoor air pollution, unwanted odors, and high levels of humidity. A wide variety of fans and ventilators do this work, including whole house fans, bathroom fans, kitchen range hoods, attic fans, heat recovery ventilators, and more. A house also has more passive ventilation, in the form of vents that are typically in the attic and under the floor. Whole-house fans, for example: Imagine it’s the end of a hot summer day and the temperature has finally begun to cool outside. You could open your windows and then switch on your whole-house fan, typically installed in the attic, which would then quickly exhaust built-up heat in your home while simultaneously bringing in cool air from outside. Your house is almost instantly comfortable, and you didn’t even have to switch on the AC. 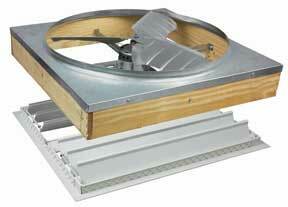 Good attic ventilation is essential. In summer, an improperly ventilated attic can trap heat and radiate it down to the rooms below, putting a strain on your air conditioner—and wallet. In the winter, heated air from the living spaces below can rise to the attic. If the attic is poorly ventilated, this heated, humid air can cause destructive condensation on insulation, joists, and rafters. Hot air trapped in the attic during winter can also cause snow to melt at the top of your roof and then refreeze at the cooler eaves, leading to ice buildup and, possibly, roof leaks. 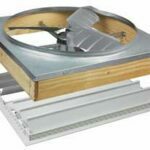 The solution for the problems of both seasons is to install attic vents that allow warm air to flow out and cooler air to be brought in. 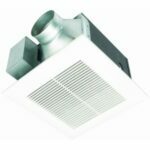 In this section of HomeTips, you will find information on how to choose and employ various types of ventilation, how to buy the right appliance for the job, and how to install and repair this equipment.